Driftwood along the shores of Southampton, New York's Coopers Beach. 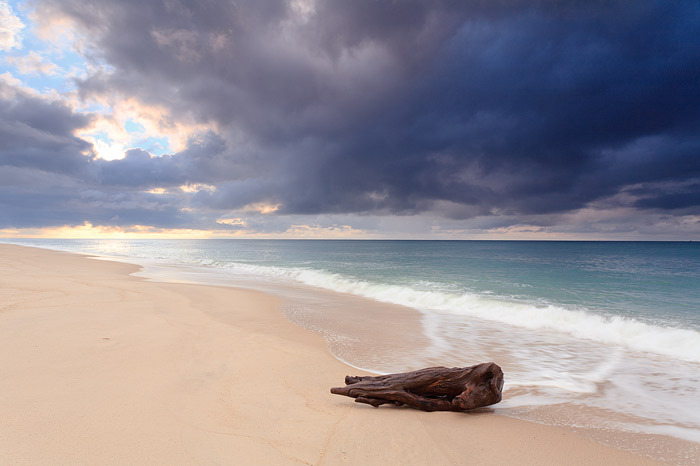 Storm clouds from the night before slowly begin to break over this beach on Long Islands South Shore. Coopers Beach is not only a popular beach in the Hamptons but often is rated as one of the best beaches in the United States. Photo © copyright by Thomas Mangan.